A perfect blend of skills and experience all under the same roof available at your finger tips. IT consulting focuses on advising businesses on how best to use information technology to meet their business objectives and organizational goals. Citrus Informatics helps clients to improve the effectiveness and efficiency of their IT application environments by carefully planning and implementing IT initiatives; by designing re-usable, platform-independent software solutions; by being down-to-earth and focusing on practical features and functionalities rather than on fancy frills; and by ensuring that the applications have built-in scalability and can grow with the organization. Helping our clients to optimize their technology stack so as to enhance productivity, reduce risk and maximize return on investment is what we accomplish through our IT consulting services. Leveraging our expertise in various technology streams, our exposure to various industry verticals, and our prior experience in technology consulting, product development and project management, we design, develop and implement end-to-end technology solutions for our clients. We work closely with clients to understand and analyze their business environments and the specific challenges they are facing, and design conceptual solutions tailor made to meet those challenges. We expand on these conceptual solutions through extensive research and detailed analysis, and develop prototypes and proof-of-concept designs that are functionally efficient and economically viable. Our IT consulting services include Enterprise Architecture Consulting and IT Roadmap Definition, Application and Network Security Consulting, and Information Risk Management. In today’s globally competitive world, a software product company’s success is based not only on its ability to come up with quality products, but also on its ability to take on challenges, be it in the realm of technology upgrades or price positioning. This is especially true since radically changing technologies and customer expectations are forcing companies to create innovative yet cost effective products. 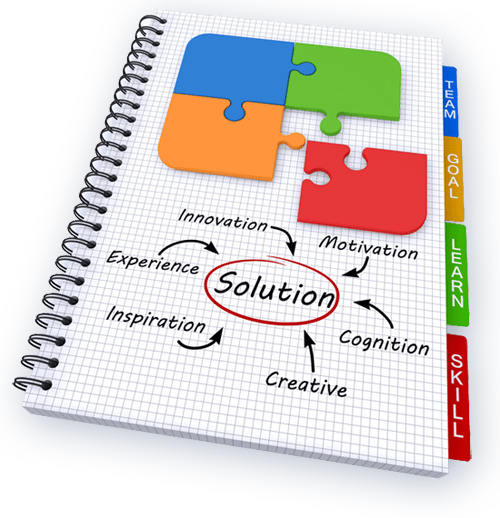 It requires skill and creative thinking to deliver products that catches the customer’s attention. 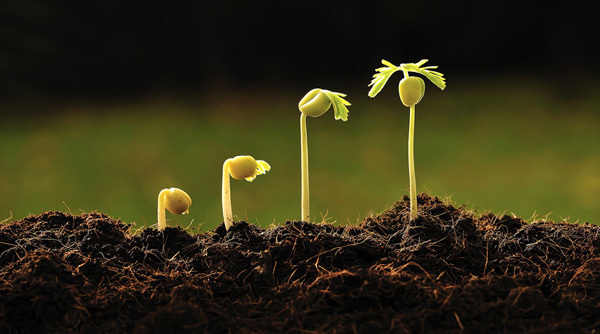 This race to push products out into the market has also led to shorter development lifecycles. Product engineering for Citrus Informatics is about successfully translating a product vision into reality. Our excellence in technology and engineering processes combined with the support that our team provides, allows us to build strong client relationships. Our extensive experience in product development enables us to see the bigger picture and to address non-functional aspects like scalability, performance, platform independence and maintainability. Citrus Informatics can help you with the entire development life cycle of a product from conceptualization to post implementation support. We can conduct in-depth research into product concepts and come up with break-through solutions that can set you apart in the industry. We can design, develop and implement both custom and package-based products. We can even help you by getting involved in projects at any stage in the product engineering or re-engineering life cycle. Citrus Informatics offers end-to-end product development services using cutting-edge technology at affordable costs. The processes, methodologies, and tools that we use as part of our integrated project management approach result in better quality products. This coupled with our portfolio of reusable frameworks and components ensures reduced cycle times, speedy product delivery, lower cost of ownership, better risk mitigation, faster return on investment and quicker time to market. Good project management is absolutely necessary for project success. Project management requires the application of skills and knowledge to meet the customer objectives of scope, time, budget, quality etc. It ensures that every project that is undertaken has a well defined path, is properly thought about and planned so as to minimize surprises during project execution. During planning it is also essential that every stakeholder is considered and requirements elicited so that all the requirements can be captured at the earliest possible. In addition to planning scope, time, cost and quality, a detailed risk planning is vital to ensure the smooth completion of the project. Planning for risks allow the team to anticipate risks and to be prepared with mitigation or removal strategies should such risks arise. It is also crucial to be able to address and mitigate unplanned risks when they occur so that they do not adversely affect project execution. 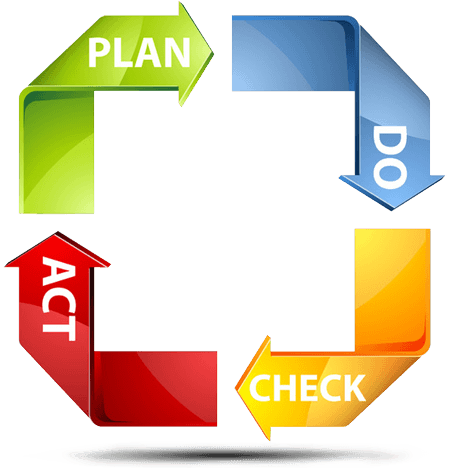 Constant monitoring during project execution is required to make sure that the project progresses as desired and should any deviation from the expected baseline occur, corrective actions be taken to bring the project back on course. Citrus Informatics uses tools, processes and methodologies adopted by the Project Management Institute (PMI) and encapsulated in the Project Management Body of Knowledge (PMBOK) to ensure that software is delivered on time, within the allocated budget and in accordance with the requirements of our clients. 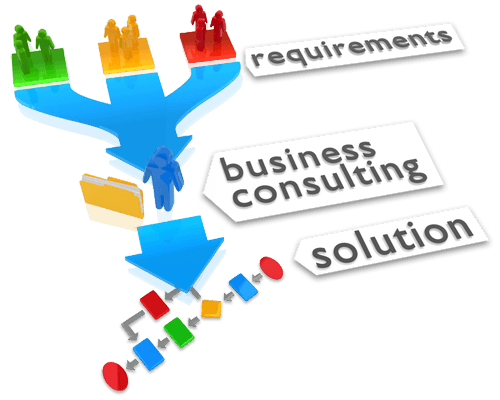 Each application development initiative is explicitly planned taking into consideration all major factors. Our project managers break bigger tasks into atomic tasks. This allows for accurate estimation of time and resources and better focus. The tasks are organized concurrently, whenever possible, to make optimal use of available workforce. Task dependencies are also minimized to avoid delays caused by having to wait for one task to be completed before commencing another. These estimation techniques play a major role in meeting the agreed upon project schedules. At Citrus Informatics we understand that productivity is not necessarily proportional to the number of people working on a task. We believe in careful planning, constant monitoring for project deviations and following well proven standards and processes. Our accurate reporting of the project progress gives our clients a clear view into the actual project execution so that at any point of time they are aware of the project health and progress. Citrus Informatics is a value-driven software development company that offers custom software application development as well as customization of commercially-off-the-shelf (COTS) products. We have a team of young, energetic and exceptionally skilled professionals with a passion for technology and a commitment to deliver the best. They bring with them deep knowledge of the process flow in various industries as well as expertise over various technology streams. This gives us the technology bandwidth and the industry experience to build, deploy and maintain scalable technology solutions across a wide spectrum of business verticals. Our focus is on developing systems that allow organizations to be dynamic and flexible in meeting the challenges of today's highly demanding business environment and nimble enough to quickly adapt to change. Using well-defined methodologies and industry-standard software development practices, we provide our clients with intuitive, reliable, secure, robust scalable and easy to maintain business applications built on proprietary as well as Open Source technologies. Citrus Informatics follows a very transparent approach in its dealings with clients. A detailed proposal is always submitted outlining our understanding of the scope of work and clearly defining the deliverables, the technology to be adopted, the methodology to be followed, the acceptance criteria to be met, and such aspects as cost, timeline and payment terms. The proposal is officially signed off before any work commences. With cloud computing, mobile and social networking, consumers are empowered with a lot of tools for communication and collaboration. Hence consumer markets are changing dramatically with applications and services that boost user experience. Radically changing technologies and market trends need to be kept up with, in order for any business to succeed in this competitive market. A good web application is one that is user friendly, stable, easy to maintain and most importantly meets its business objectives in a cost effective manner. Proven skills in web technologies complemented with our experience allow us to incorporate complex business logic into our projects in a simple and elegant manner. 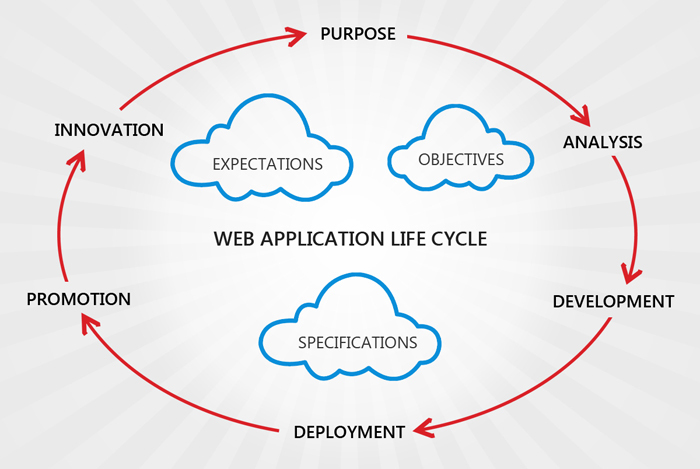 This allows us to create web applications that are robust, scalable and are of high performance. Our solutions are developed using the latest technologies and bearing in mind the current market trends. Despite the underlying complex functionalities, our designers aim at providing a positive user experience by creating applications having appealing user interfaces. In addition to providing web applications of high quality, we also offer database design, development and support. This allows us mask tricky and complicated functionalities with aesthetic and simple interfaces providing complete end to end solutions. Software product companies know that every single defect or ‘bug’ in a product has the potential for incurring additional costs by way of customer support and patch development. In this competitive world, where organizations are in a race to put out products into the market faster, companies are always in a time crunch when the testing phase begins. In order to push products out to the market faster and yet meet all the quality requirements, organizations require resources with specialized skills and tools. Securing the services of dedicated software testing service providers is the best option to ensure you have a quality product and can make it to the market in time. 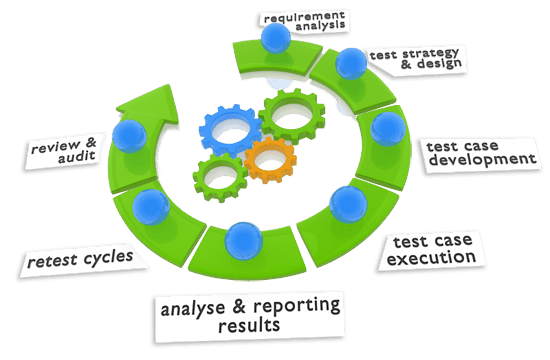 Software testing however is not merely about finding and reporting bugs. It is about enhancing the quality of software applications, improving performance, cutting down on costs and reducing turnaround times. Test engineers at Citrus Informatics have a ‘test to break’ attitude and the ability to look at an application from the end-users’ perspective. They ensure that applications are user-friendly and fully meet the intended functional requirements. Each and every aspect of a product under development is systematically evaluated and tested to ensure quality standards are being met. Our aim is to provide high quality solutions to our clients by adhering to industry standard methodologies, processes and quality management practices. Putting Citrus Informatics on the job eliminates the need for product development companies to set up full-fledged testing facilities of their own and meeting the recurring expenses that manning and maintaining such a facility would entail. Our test engineers are adept at both automated and manual testing methods and are also well versed in the use of various testing tools. Different levels of testing are followed at Citrus. Black box testing is done to ensure that the application’s functionalities meet the client’s requirements. White box testing is done to check the internal logic of an application’s code. Load testing is done to check whether the performance of the products deteriorate under unusually heavy loads. A final integration testing ensures that various modules of an application integrate seamlessly and the final product works as required. Every release is regression tested to ensure that modifications made to enhance one aspect of an application do not negatively impact other aspects of the application. Our comprehensive testing methodologies and processes ensure a fully tested, high quality and robust product. As organizations expand through incremental growth, mergers and acquisitions, they often become saddled with disparate software systems, and supporting these diverse applications becomes an arduous task. Moreover, the blistering pace at which technology is evolving requires software applications to be continually maintained and regularly updated. 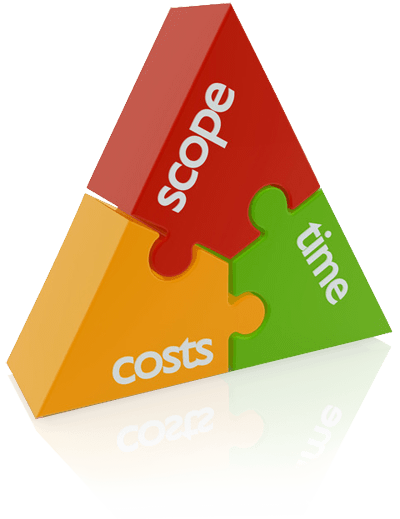 As per industry reports, maintenance costs run up to about half the cost of software development. Citrus Informatics has a team of skilled professionals who identify problems, evolve alternative solutions, implement changes and provide on-going support to enterprises on-site and off-site. We have developed a strategy for cost effective management of software maintenance projects which takes into consideration various factors such as the age of the system, volume of input and output data, nature of the application, the programming platform used for its development, and the degree of complexity in its structure or modularity. Since software maintenance is the process of modifying software systems or components after delivery to rectify defects, improve performance or other attributes, or adapt to a changed environment, our engineers spend considerable amount of time on code walkthroughs and documentation reviews to fully understand the system’s business logic, purpose and structure. This understanding helps them to arrive at realistic estimates for complying with complex change requests. Corrective maintenance: Updating of software performed after implementation to rectify discovered defects. Patches and error resolutions will be developed and incorporated into the system in the course of corrective maintenance. Adaptive Maintenance: Maintenance activity performed after implementation to ensure continued usability of the system in a changed environment. Perfective Maintenance: Modification of software systems performed after implementation to improve performance or maintainability. Preventive Maintenance: A host of maintenance activities carried out to keep applications running smoothly. It includes maintaining artifacts and settings, deleting redundant files, database tuning, backing up data, freeing storage space, checking error logs and event logs, verifying CPU, memory, bandwidth utilization etc. Enhancement Support: Taking over applications and enhancing them by adding new features, incorporating latest technologies yet keeping the original functionality of the application intact. A database is a huge repository of raw data that contain essential facts and are stored during the execution of a process. A database management system gives meaning to this data by converting it to valuable information that the end user understands. Every business nowadays requires up-to-date information to make well informed decisions. The success of the business lies in the ability to easily and quickly access valuable information that can help the decision making process. A good database design is essential to gain quick and easy access to data. Proper design techniques guarantee data security in addition to providing optimum performance. Well designed tables with suitable constraints in place ensure integrity of data and prevent redundancy. Appropriately defined indexes on tables help retrieve data faster while accessing tables via simple queries or stored procedures. Well designed databases allow to easily incorporate changes to the design as requirements change and new business rules need to be applied at the database level. Database designers at Citrus follow a methodical approach in the design of databases. First of all, the purpose of the database is identified as to what kind of information would need to be stored and if the database required is a small or a big one. This helps in the identification of the database management system that best suits an organization. Once the DBMS is identified, the data to be stored along with its characteristics are identified with constant interaction with stakeholders and end users. Requirements gathered from these interactions form the basis of the flow of data, their dependencies and relationships within the system. All this information is used to define the structures that would be required within the database. The database design is refined and modified until the final design is in place. 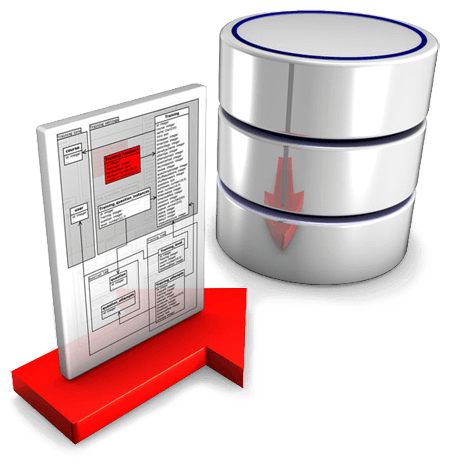 Our database designers have years of experience designing databases for a variety of industries. We take special care to incorporate the business logic into the data flow and yet we make sure that the response times, reliability and performance of the database is optimal. Steady growth in data volumes and complexity along with the heterogeneous, distributed environments and legacy systems in which the data often resides makes database management a challenging and resource-intensive task. Database administration work is complex, tedious and requires time and resources skilled in the area. Since databases almost always contain valuable data, it is essential that the database be well maintained so as to avoid database outages or severe performance degradation. Citrus Informatics has a team of specially trained database administrators (DBAs) who can ensure high availability, improved responsiveness, increased stability and greater reliability from systems. They provide the complete range of database services including database design and implementation, production support and maintenance, data modeling, data warehousing, data migration and conversion, database performance tuning, data integration, data back-up and restoration and disaster mitigation planning. Our DBAs create a performance baseline and continually monitor performance against that benchmark. 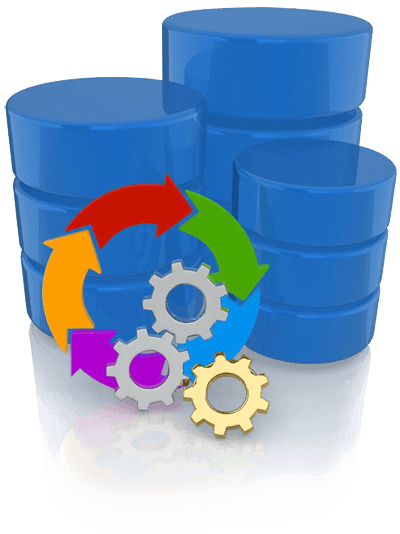 We carry out database optimization and performance tuning on a continuous basis. Security is given prime importance and it is implemented using appropriate security mechanisms, user access management and auditing. Regular checks on database usage and performance are done to determine disk space augmentation requirements. Backup and recovery support is always done in accordance with pre-defined disaster recovery plans. 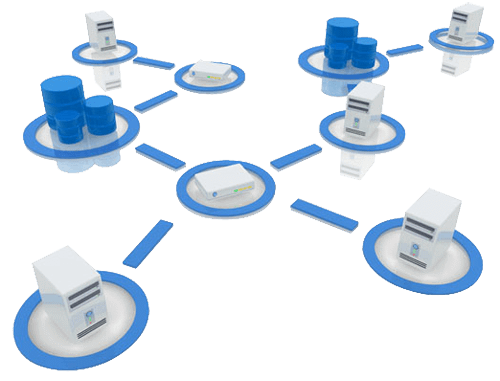 When a critical event occurs we take immediate corrective action before the database becomes unresponsive, resulting in failover. After restoring normalcy, a root cause analysis is performed to identify causes of failure, the findings are documented and preventive actions are taken to avoid recurrence. Outsourcing database administration to Citrus Informatics gives you a peace of mind like never before because it puts your database in the hands of seasoned professionals who will improve the availability, stability, responsiveness and reliability of your systems at substantially reduced costs. With the inherent nature of information being a rapidly changing one, organizations want to get their hands on the latest information in the shortest possible time. This allows for making timely decisions, reducing errors and increasing business efficiency. The ability to get more done in shorter spans of time are becoming the norm of the times. Mobility has become an indispensible part of the everyday life. With vast adoption among the masses, mobiles have become the core of sustenance in every industry. This opens up enormous opportunities for the mobile world. 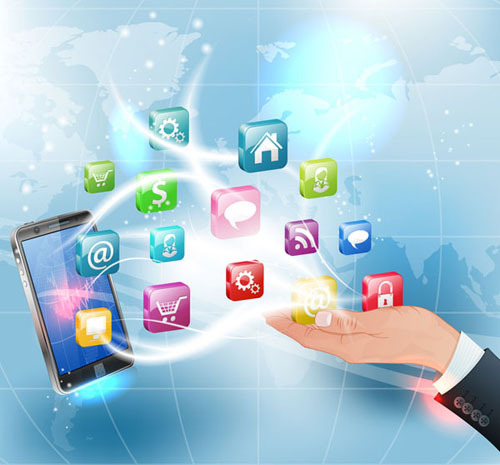 It is in fact a necessity for online companies to have mobile applications that serve both corporate and user needs. There are a lot of mobile applications available in the market today. Mobile applications range from simple utility programs that make your life easier to complex health applications that monitor your vital signs and make you lead a better and happier life. Our mobile applications expand from native mobile applications and mobile web applications to hybrid applications for cross platforms. With novel ideas and creative thinking, our teams have created exceptional native mobile applications for iPhone and androids. Our mobile web applications are light weight but incorporate all the required functionalities thereby enhancing user experience. In the hybrid application space, our team has extensive experience working with applications for cross platforms. We keep ourselves well informed of the latest technologies in the mobile space. In addition to providing unique solutions that give you a competitive edge in the market place, we can also help you choose the solution that aligns best with your business objectives. Your IT infrastructure acts as an interface with your enterprise, your sales organization, your support team and your products. It is also an indispensable administrative tool that you depend on to run your day-to-day business activities. Availability of the network, the systems and the applications therefore, is of paramount importance. You don’t get a second chance to make a first impression. Just being there is vital. If you aren’t available when your customer knocks, someone else will be. Your competitors are just a click away. Your loss is their gain. And what you lose is not just a sale or a potential customer. What you lose is credibility and goodwill – two very precious things that you can ill afford to lose in today’s highly competitive business environment. Citrus Informatics offers comprehensive and affordable application and network monitoring and management services to organizations, allowing administrators to have unprecedented visibility into the performance of the network and the various devices and applications running on it. Our engineers have an uncanny ability to get to the root of problems associated with bandwidth, network and application performance. They monitor every element of the web application infrastructure including operating systems, VMs, application servers, databases, messaging servers, authentication systems and more. They keep their fingers on the pulse of the entire IT infrastructure and provide detailed reporting on system availability and utilization. Owing to the many-to-many relationships between applications and the resources they interface with, it takes a multi-pronged approach to tackle pernicious performance problems. The application server may be working fine, but what if the network fails? The shopping cart may be carting along right, and the web services serving just fine, but what if the authentication server crashes? Performance suffers. Citrus Informatics’ expert teams of engineers are always vigilant keeping watch on the load, capacity and resource utilization. They also continuously monitor CPU, memory, I/O and bandwidth usages across the network. Through effective capacity planning and efficient utilization of available resources, they reduce outages and minimize their impact on the business. Keeping the IT infrastructure healthy, takes more than monitoring and analyzing. Despite all the preventive measures adopted, system failures do occur. Our engineers put in place alert mechanisms that trigger immediate response protocols to limit the damage and reduce the downtime. They take regular back-ups of various systems, and can fall back on the latest backed-up data to have the systems up and running, thus ensuring business continuity. They will then analyze the root cause of the performance issue and document the findings along with information on corrective action taken. Other activities that form part of our IT infrastructure management services include setting up, optimizing and securing servers. Additionally we also help with infrastructure recommendation, information security, vulnerability scanning and reporting, installation of antivirus and patch management solutions, network design, transitioning from one network to another including migration of applications and data required by such exercises and optimizing the IT infrastructure to support future business objectives. Citrus Informatics has a proactive rather than a reactive approach to infrastructure / network / server management. This ensures high availability, enhanced reliability and increased responsiveness from existing systems, squeezes more value out of the money spent on IT infrastructure through better utilization of resources, and ensures predictable and controllable costs.